1 cup mashed potatoes (don't add butter and milk) 1 egg salt and pepper milk flour (enough to make a sticky dough) 1. Note: Handle dough minmally. 2. Turn onto Note: Handle dough minmally. 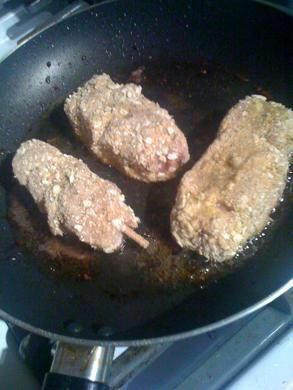 2.... Use flour, egg and breadcrumbs to coat chicken. (Image: noblige/iStock/Getty Images) The trick to making the breading stick is to dry the surface of the chicken, and then create a glue-like surface with a flour and egg blend. You might be tempted to skip the flour dip, but don’t — it gives the egg something to stick to. 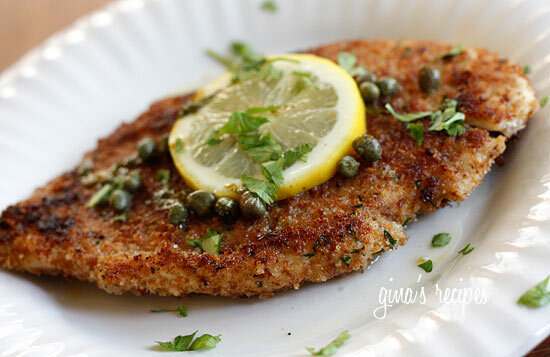 An even egg coating makes an even crust, which will help to ensure juicy chicken. Dip the floured and egg battered chicken breast in the bread crumbs and coat completely. It helps to pat the chicken breast into the bread crumbs so that they combine with the flour and egg. This will ensure that the bread crumbs stick to the chicken breast.